So today I feel like the Lord is pressing me to talk about something that isn’t really talked about let alone thought about because Angels are always left in hindsight when they are an important and intergral part of our Christian walk, especially in regards to SPIRITUAL WARFARE. Every person whether they are Christian or not are assigned an angel(s) from the day they were born. 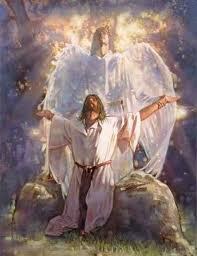 When we pray, angels are released; when we fast, angels are released and when we praise, angels are released. Why am I saying this??? Spiritual Warfare is always present in our lives whether we are aware of this or not. There is a constant battle in the Spiritual Realm for every persons life regardless of whether you believe what I am saying or not. I think that if everybody had spiritual eyes and could see the spiritual realm in its fullness they would be shocked to see what is surrounding them at the moment. In a way it didn’t matter who won…What American Christians need to know right now is that Obama and Romney don’t hold the future of America in their Hands…the Church of Jesus Christ holds the future of America in their hands by their fasting and praying and also in their Praise and Worship. I’ve read many blogs that have been stipulating that God is going to judge America because of the level of unrighteousness present in the land. They are not really far from the truth in a way; however, what I would like to say is that what I’m hearing in the Spirit is that Judgment can be halted by what Christians do right now during this season as we reach the close of the Year of Divine Government 2012. I think it’s time to step your game up Christians of America. I know I’m not American…but you have so much power within you right now that this isn’t the time to give up…. Apply pressure in the Spiritual realm with your Praise to God. I believe that at the present time…though the state of affairs is that America is still recovering from the tragedy of Hurricane Sandy, don’t stop applying pressure in the Spiritual realm right now. Something is happening….I am sensing that there is a great shaking in the spiritual realm over the land and what is interesting is that the voices of the Lord’s people became more pronounced during this election season than any other one in previous years which was something the world did not anticipate nor expect to see. This year is indeed very different and very unique. It would have been rather fearful to think of what the future holds for America had the Christians remained silent in the face of this election. 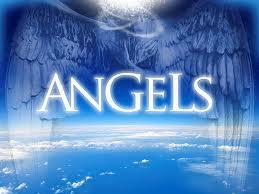 Angels are released everytime a believer prays. I believe that in the present time…no matter where you are…you can even pray by proxy…keep praying to see change manifest in your nation. The worst thing is to give up too early when the fight has just begun. When you understand the roles of Angels…you will prepare yourself effectively in your prayer life especially for the new year in preparation for the 21 DAY DANIEL FAST that some churches will be participating in the New Year. 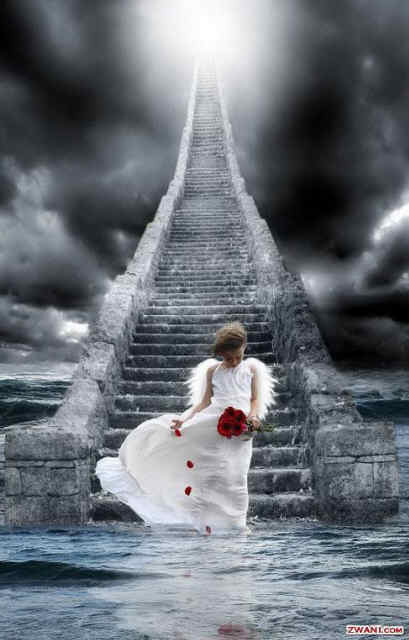 Genesis 28:12 Then he dreamed, and behold, a ladder was set up on the earth, and its top reached to heaven; and there the angels of God were ascending and descending on it. 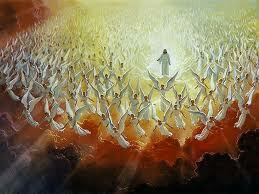 Psalm 104:4 Who makes His angels spirits, His ministers a flame of fire. Matthew 13:39 The enemy who sowed them is the devil, the harvest is the end of the age, and the reapers are the angels. [ The Parable of the Lost Sheep ] “Take heed that you do not despise one of these little ones, for I say to you that in heaven their angels always see the face of My Father who is in heaven. Mark 1:13 And He was there in the wilderness forty days, tempted by Satan, and was with the wild beasts; and the angels ministered to Him. [ Confess Christ Before Men ] “Also I say to you, whoever confesses Me before men, him the Son of Man also will confess before the angels of God. 19 And he said, “O man greatly beloved, fear not! Peace be to you; be strong, yes, be strong!”So when he spoke to me I was strengthened, and said, “Let my lord speak, for you have strengthened me.”20 Then he said, “Do you know why I have come to you? And now I must return to fight with the prince of Persia; and when I have gone forth, indeed the prince of Greece will come. Although this list is no way an exhaustive list of what they can do…I just want people to understand that as Christians…when we go through Spiritual Warfare…it is important that you understand the role that angels play in your life. I have seen some of them in my life…and sometimes I wish people could see them too, but the most important thing is to understand that they are with you always. Christians are powerful when they believe. 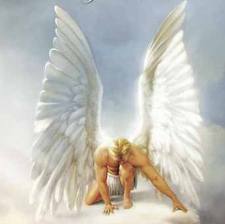 Every prayer releases millions to billions of angels each time. If 1 person can put 1000 to flight and if 2 people can put tens of thousands to flight…what say you with a congregation of 100 people???? So today, apply pressure in the Spiritual Realm in your Fasting, in your Prayer life and in your Praise and Worship. 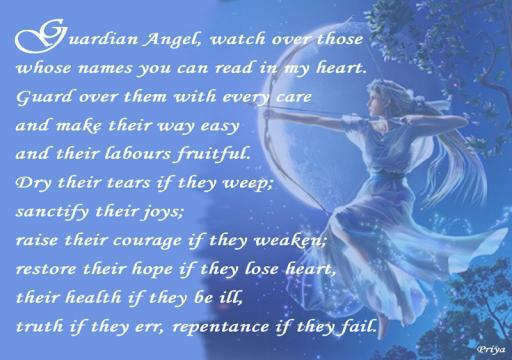 Angels are waiting for Christians to be active in their Faith, AMEN! I have here a song by Micah Stampley called War Cry. 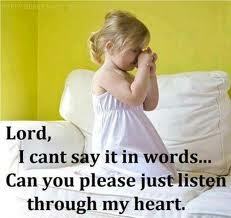 I pray that it blesses you today. God Bless you everybody! I copied your teaching on angels into my prayer journal. I am a minister of the gospel of the Lord Jesus Christ, ordained in the Church of God, but currently serving him as a hotel sales director. What I learned when I went into sales as a young disciple was I would pray, not understanding if it was even biblical, and face the four points of the compass and “I pray Lord to send the Angels from the North to send me business, I pray Lord to send the Angels from the West…” etc. I was very successful, but I don’t know if that is biblical? I don’t want to add anything to the biblical text. What do you think? Please email me. Right now I am fighting a stronghold of the enemy at my hotel, and it has been manifested ever since the new company took over 26 months ago. God has me and one other prayer warrior at the hotel. I’ll email you my response soon.